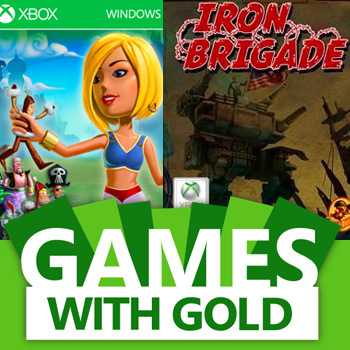 This month, A World of Keflings and Iron Brigade will be free for Xbox LIVE Gold members. Today, Microsoft's Larry "Major Nelson" Hryb unveiled the titles that will make up this month's Games With Gold catalog. And, unfortunately, they're a little disappointing. Starting tomorrow, Xbox LIVE Gold members can grab a copy of A World of Keflings, a laid-back city-building sim. And on November 16th, Microsoft will release Iron Brigade, a hybrid title that mixes tower-defense gameplay with third-person shooter elements. Don't get me wrong, I'm sure that A World of Keflings and Iron Brigade are both entertaining titles, but Games with Gold was created to compete with Sony's PlayStation Plus program, and in that regard, it's a little embarrassing. Sure, Halo 3 and Assassin's Creed 2 have shown up in previous months, but considering that PlayStation Plus currently features Uncharted 3, LittleBigPlanet Karting, and XCOM: The Enemy Unknown, Microsoft's offerings seem little soft. Either way, Xbox LIVE Gold members are getting access to a couple of free titles, which is more than they were getting before. So, maybe I shouldn't complain so much.